Tyson Foods said it is investigating claims that chickens raised for the company face brutal treatment and harsh living conditions. A video released last week by the advocacy group Mercy for Animals showed farm workers throwing crates of baby chickens and leaving injured birds to starve. In a statement, Tyson (TSN) said it takes the claims "very seriously," that it is "investigating the matter," and does "not tolerate improper animal treatment." Mercy for Animals said the footage was captured by a whistleblower working on the farm and is part of its campaign asking consumers to sign a petition and avoid eating meat products. The petition, posted on Change.org, received more than 17,500 signatures in the four days after the video was posted. It calls for Tyson to adopt animal welfare policies, saying state and federal laws do not offer protections for chickens on "factory farms." "As shocking as it is, this type of cruelty and neglect is common in the poultry industry," the petition says. "All of this means that Tyson Foods and other poultry producers are able to routinely get away with torturing chickens." 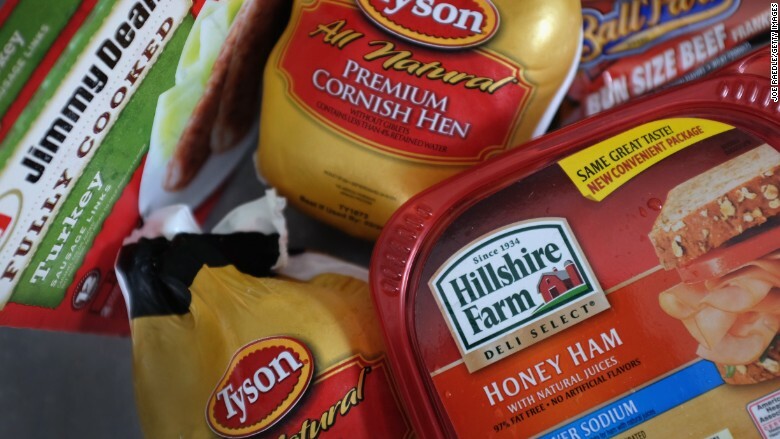 Tyson's statement said the company does have policies regarding animal health. The company said its "Tyson FarmCheck™ program involves third-party auditors who check on the farm for such things as animal access to food and water, human-animal interaction and worker training." Animal abuse and health concerns have led to increased interest among consumers about where their food comes from. Concerns about battery-cage eggs and food additives have led some restaurants and food producers -- such as General Mills and Taco Bell -- to change their policies in recent months.